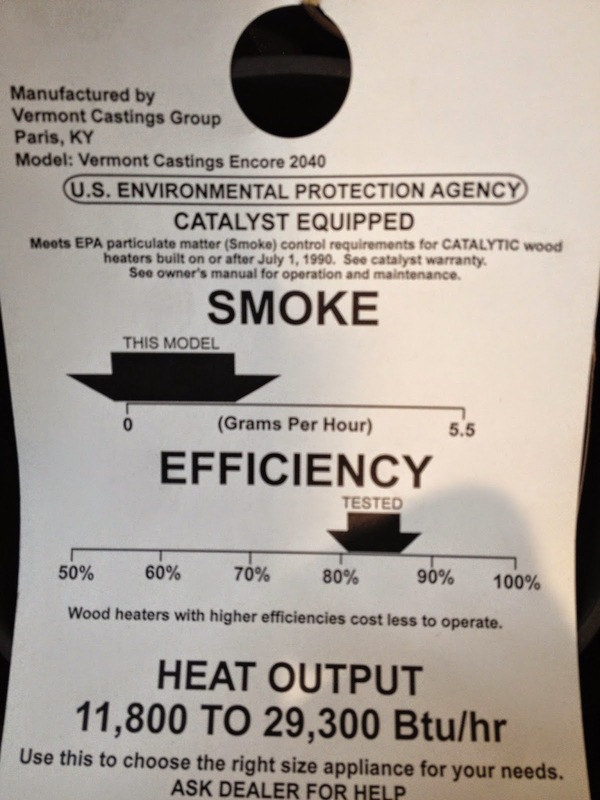 Lamppa Manufacturing Inc. posts an actual copy of the efficiency and emissions testing done by Intertek on the Kuuma Vapor-Fire 100 and 200 furnace models right on it's website. None of the efficiency rating mean much under normal operating conditions. Residents close the dampers at night then the stove smokes out neighbours. They recharge the stove in the morning then leave it smouldering all day while they are at work and smoke pours into neighbours' homes. Also the number of people who burn green wood is surprising. Hopefully I will never find anyone burning wood within a block of my home. While I understand the frustration over the lack of real world relevancy of EPA mandated testing (who burns test fuel in a perfectly controlled laboratory), I resent the inference that all wood burning stoves smoke in the way you present. Kimberly and Katydid by Unforgettable Fire have a reputation for not doing this due to our gasification/reburner technology. In fct I would challenge you to prove one of our stoves is even running in your neighborhood, unless some idiot is burning green wood, even then I challenge you to think about the dangerous and environmentally damaging comparison of just one gals line explosion......think dude think! Most of this page is not at al applicable to NZ for several reasons. 1 - Pellet fires and wood burners in NZ have to be tested and meet criteria before being allowed to be installed. 2 - Pellets in Nz are manufactured under strict guidelines. They are very very low moisture content, manufactured from non-treated wood and are normally waste product from saw mills adding to their greenness. 3 - We are NZ, the EPA doesn't have any say here and what they are doing has little or no effect on us. Your articles around pellet fires don't belong in NZ as the scene here is totally different. If many European stove manufacturers meet the more stringent LHV standard, why is it so difficult to purchase them in North America? Wouldn't increased availability encourage N.A. manufacturers to step it up and make more efficient products? I am starting to check out European stoves, need a new stove stove soon. Someone recommended a Piazetta - about 90% efficency rating, would like to see if anyone actually owns one. Why would you suggest they look at European stoves and look past Seraph? With the winter months rapidly approaching, I’ve been researching pellet stoves Bucks PA to find a model that would work well for my home. One contactor insisted that we would only need the stove setup in our basement, and he could vent the heat throughout our home. I’m worried that we’ll be spreading the heat too thin, but I’d love some feedback from anyone who has a stove setup in their basement. Today’s wood stoves burn 50 percent more efficiently than traditional wood stoves and produce 70 percent less particle pollution indoors and outdoors. 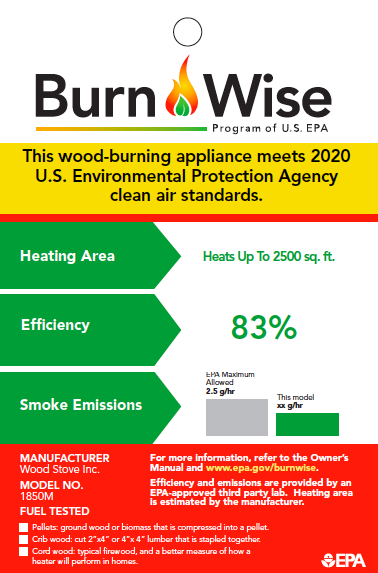 The EPA list is NOT to be confused with wood burning stoves that qualify for the Biomass Credit. Many of the stoves on the EPA do not an efficiency rating percentage in the appropriate column. No Biomass Credit Qualifying list from the government exists. Only comes from manufacturer. Problem - a lot of conflicting information. Especially from manufacturer reps. It all depends who you talk too. Outdated info on internet that has been taken down.